Left in cryogenic stasis for nearly a century, Caitlin Driskoll is awakened and drafted into war she knows nothing about. 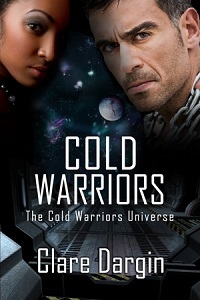 Expected to defend a world where her kind is despised and expendable, she discovers love and respect from the one man who can't be associated with her. Lt. Colonel Medoro Keegan has spent a lifetime in the Marines. With no family to speak of, the Corps and his ship, the USS Blanchard, are all the loved ones he needs. Caitlin sparks a fire within that threatens to consume him if he doesn't walk away. Will he choose a life of certainty in the only world he knows or give it all to Caitlin and run the risk of losing someone, yet again.